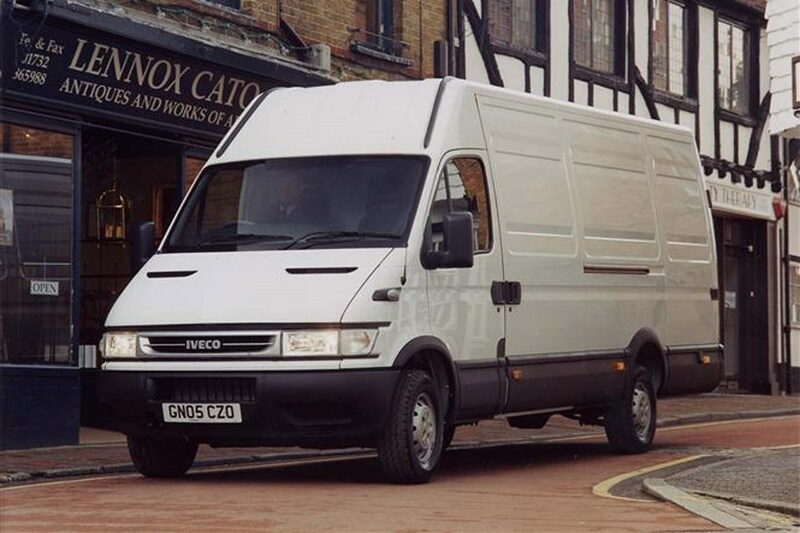 The Iveco Daily is the Mike Tyson of the van world, noticeably stronger and tougher than the opposition. Sitting on a ladder frame chassis, the Daily is a big truck scaled down rather than a smaller van scaled up. Florists, bakers and the like might as well look elsewhere as this van is best at home thundering up and down the highways of Britain laden down to the gills with cargo. Gross vehicle weights range from 2.8 tonnes right up to 6.5 tonnes. Models some in L, S and C classes – L for 2.8-3.2 tonners, S for 3.5 tonners and C for 3.5-6.5 tonners. All come swathed in plastic round the bottom end with a massive slablike dashboard. Iveco used to have a complicated ownership tie-up between Ford and Fiat but the firm is now totally in the hands of the Italian manufacturer, although sales and servicing have to be carried out at Iveco dealers – there is no cross-over between Fiat and Iveco at present. The Daily is the best protected van on the roads with its massive side rubbing strips and plastic bumpers front and aft, so annoying little scrapes should be few and far between. It behaves more like a small truck on the roads but is by no means a difficult vehicle to handle. Pre-2005, engines on offer were all 2.8-litres and had power outputs of 90hp, 105hp and 125hp. Newer models had 2.3-litre and 3.0-litre engines mated to a new six-speed gearbox, with power outputs up to a stonking 166hp, making it one of the most powerful vans on the road. There is also a semi-automatic AGile option which cost a questionable £700 more than the manual models in period. The older engines fired up with a mighty roar – which we rather like – but the gearlever is not the smoothest in the sector, with a rather notchy feel which demands slow changes. But even the lower powered models feel lusty and at 70mph, settle down to a quiet thrum. 2005 models are noticeably quieter. Climb aboard the Daily and nervous drivers will be forgiven for feeling a little worried – you could for all the world be sitting behind the wheel of a 40-tonne truck. The dashboard is a massive slab which curves round the driver in a truck-like way with all instruments poitning towards you. Everything has that chunky, made-to-last feel and the knobs and switches are all of Tonka-toy proportions. The driver's seat has to be one of the best in the business. It's hard and upright and adjusts in all directions and is wonderfully supportive on long trips. A radio/cassette player comes as standard and has a detachable front but otherwise, standard goodies are pretty scarce. Items such as air-conditioning, sat-nav and electric windows are on the huge list of options, but all have to be paid for, so it's worth checking the exact specification before purchasing. 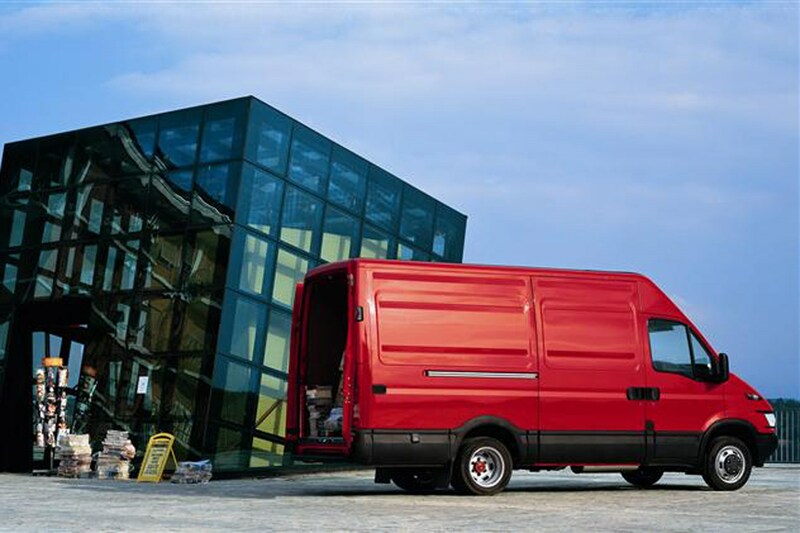 The Daily offered a great deal more metal than the likes of the Ford Transit and Mercedes-Benz Sprinter. They were offered with a three year/100,000 mile warranty and later engines (post 2005) are reckoned to be 10% cheaper to run than their old counterparts. With the new 3.0-litre unit, timing chains only need to be replaced at 225,000 miles, and oil changes are due at 25,000 miles against 18,000 miles for the 2.8-litre engine. Look on the motorways of Britain and you'll see Dailys of all ages thundering up and down them, speaking volumes about this van’s longevity. In the event of a breakdown, Iveco has a penchant for getting drivers back on the roads. A phone number gets you through to Iveco's centre in Turin and a very nice operator (who incidentally speaks perfect English) will get a mechanic along PDQ with a van load of spares. The safety rating of the Daily depends very much on what extras are included as driver’s airbags and ABS brakes were all on the options list. Vans coming off a fleet and offered for sale are unlikely to contain either. However, an engine immobiliser is standard and the rear doors of the Daily look strong and formidable against attacks from thieves. Which IVECO Daily (93-06) is best for me?